Sony Xperia S - Best HD Smartphone In Town! The battle of smartphone is not getting easy anytime, now we can have more choice on new smartphone that suit our lifestyle most. What kind of smartphone do you like? I prefer a phone that has fast Push Email, fast response on applications and social media friendly, not forgetting a fast camera to capture precious moments and share it on Instagram (coming soon on Android) and many more! 4.3" HD Display with resolution 720x1280 pixels, BRAVIA Engine. SM8260 chipset with a 1.5GHz dual-core processor. 12-megapixel camera with Sony's Exmor R backlit sensor, 1.3MP front camera. xLOUD and 3D surround sound. One of they key features of Sony Xperia S is the 0.9s capture time with 12MP camera! Now you can have jump shot at the beach with just nice a camera phone! Not to mention, Sony Xperia S IS THE FASTEST camera smartphone right now. Together with its full HD recording, HD chat camera and HD display, plus the best network coverage from Celcom, every experience on the Sony Xperia S is more life-like than ever before! 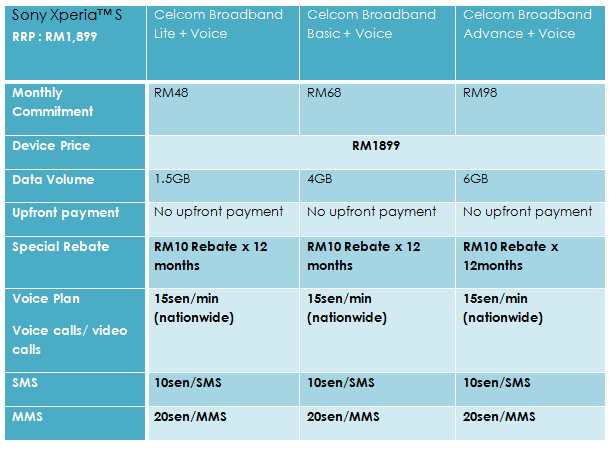 Celcom new plan of Data + Voice offer a rebate of RM120 without Contract. Get it from as low as *RM38/monthly or sign-up to Celcom Exec plan and enjoy discount up to RM681. 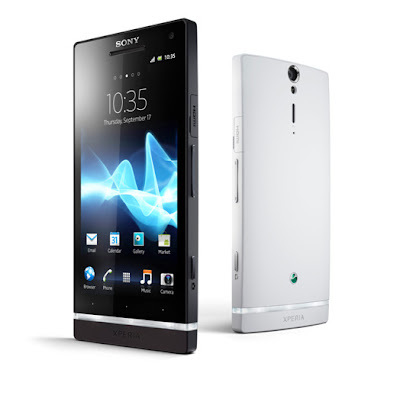 Enjoy the Sony Xperia S from as low as RM1,218 with the best network. Wondering why sign up for Celcom Exec, here are the reasons! The more you talk, the more you save. Automatic discount up to 30% every month. Call rates as low as 10.5sen/min (after 30% discount). FREE mobile Internet and calls within network on weekends. #MYGENERASI Reaching 1 Milion YouTube View! WIN DR. DRE BEATS HEADPHONES NOW!